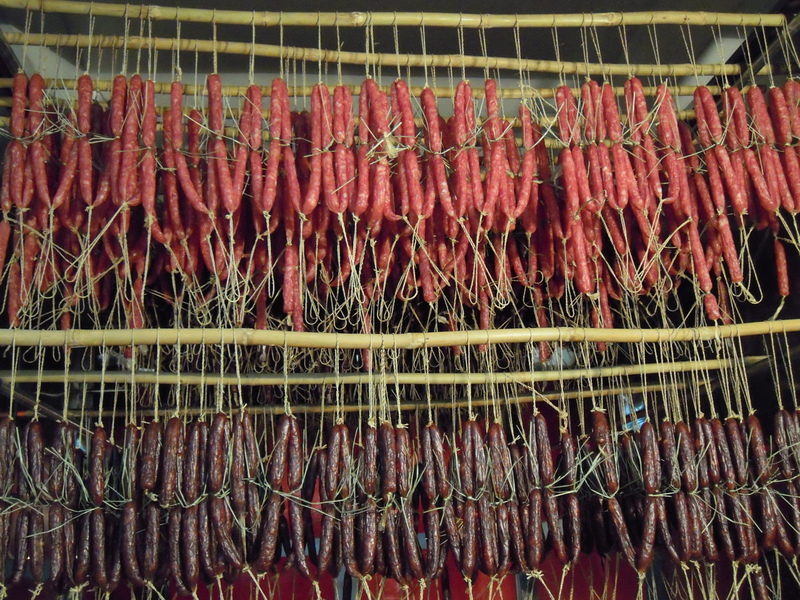 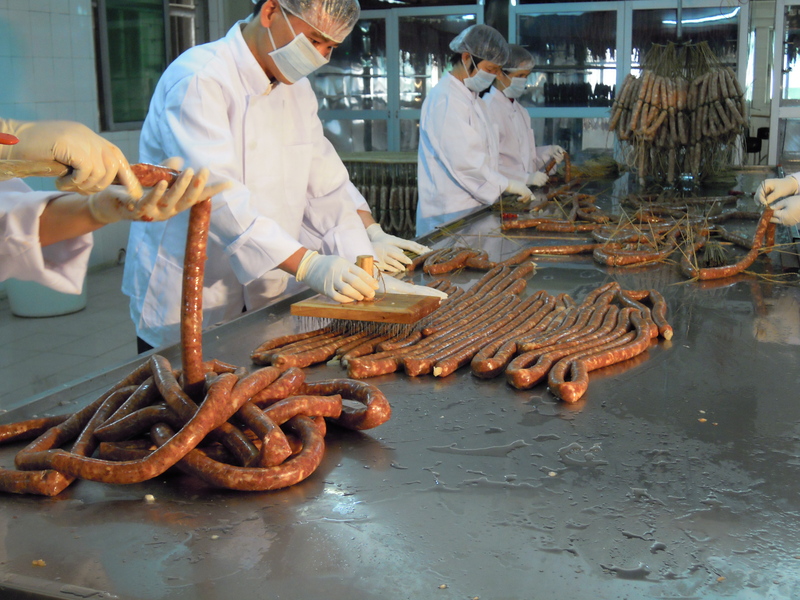 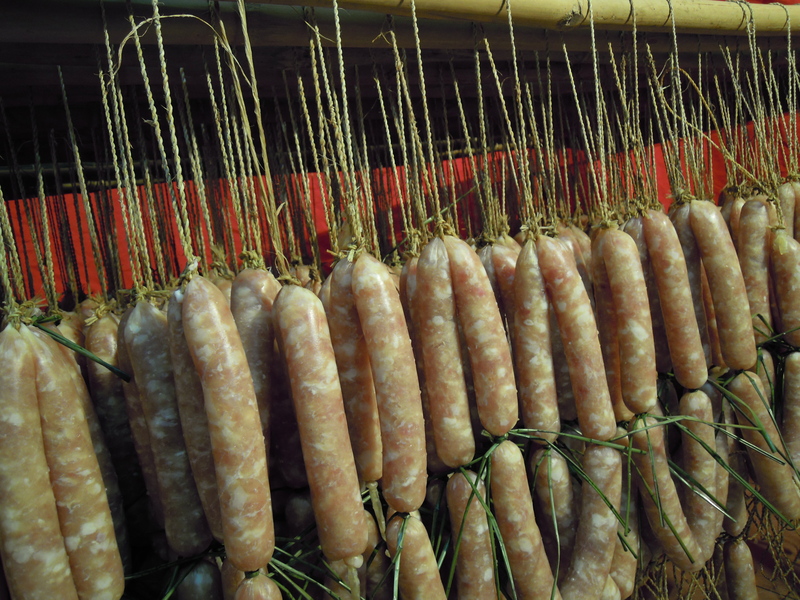 Since my distribution business is carrying a brand of Chinese preserved sausages to be sold until the Chinese New Year (beginning of Feb), I had the opportunity to visit the manufacturing facility where the sausages are created from scratch to the final product. 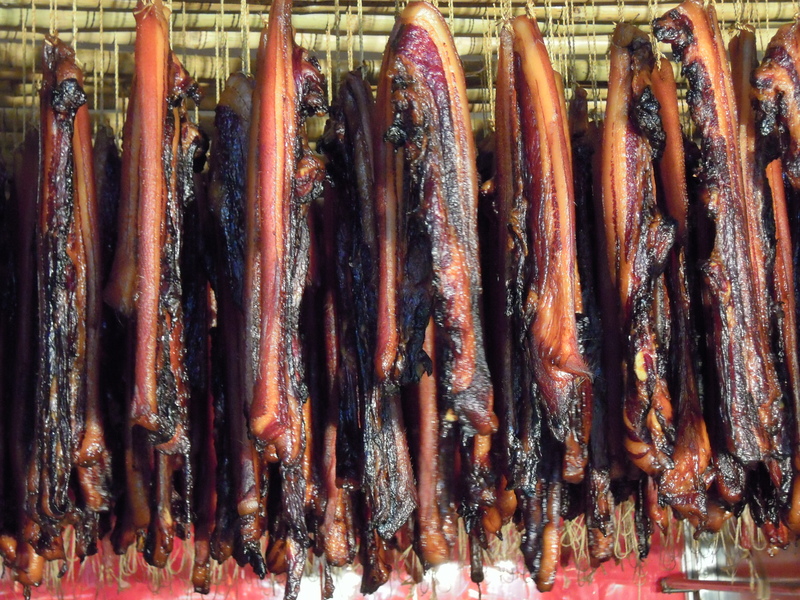 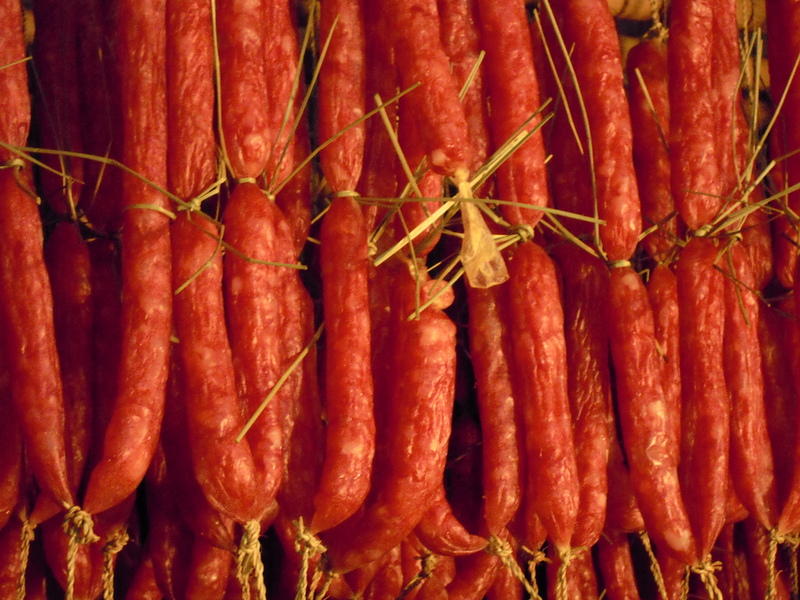 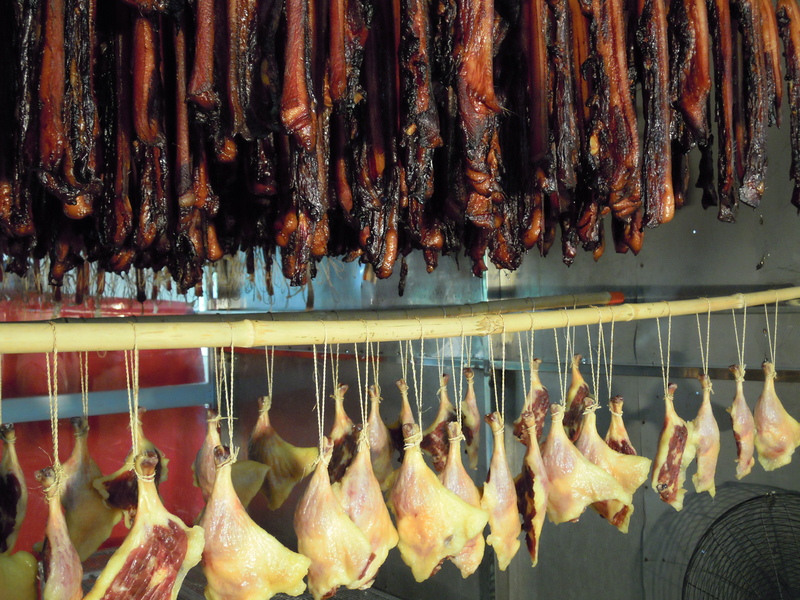 From my previous post of “Take me to Carrefour China (https://btlau.wordpress.com/2010/11/04/take-me-to-carrefour-china/), a piece you’ve to read if you haven’t seen dried up headless rabbits for sale in supermarkets….anyway…. 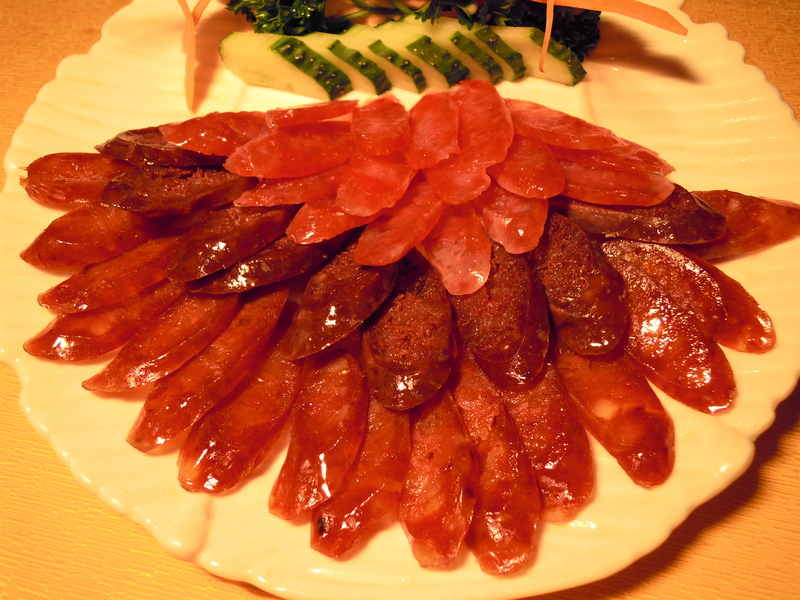 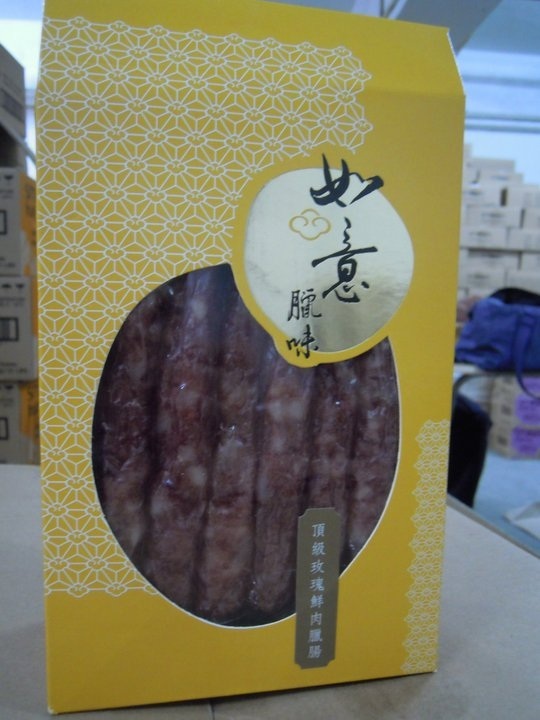 you would find a lot of preserved “meat” products for sale, and that is because during the colder months of autumn and winter, the Chinese people are a huge fan of preserved meat products they could cook on top of rice in a rice cooker. 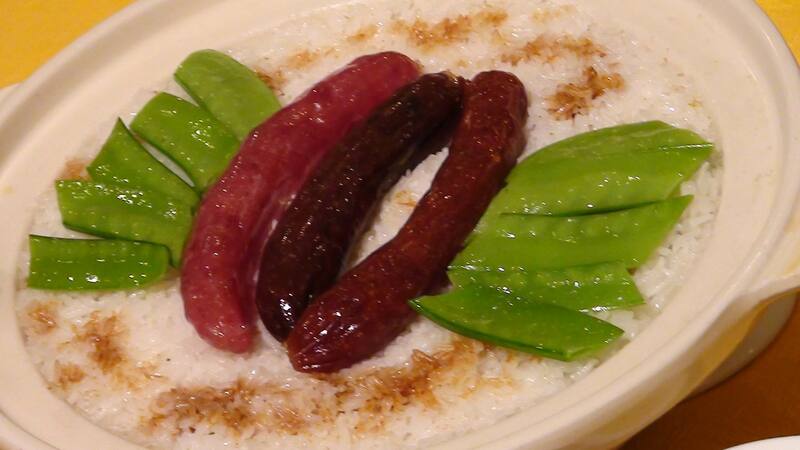 The juice and marinade used to make the preserved sausages will then soak into the rice making it a favorite at dinner during the cooler months.